The new National Park Service Visitor Center is in the foreground. Big Round Top is above it and a little to the left. The Pennsylvania monument is just visible in the middle right distance. Please make sure that as always, you “click” on the photographs to enlarge them. 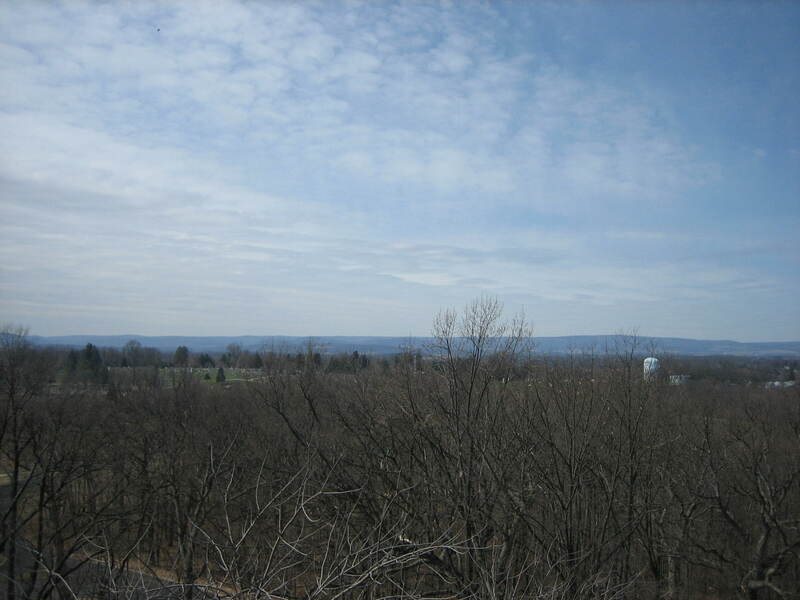 This view was taken from the northeast facing southwest at approximately 1:00 PM on Sunday, March 30, 2008. Although it was a little cool, Sunday morning and early afternoon was a pretty good day weather-wise. Clouds were moving in from the west for some showers expected later this week. 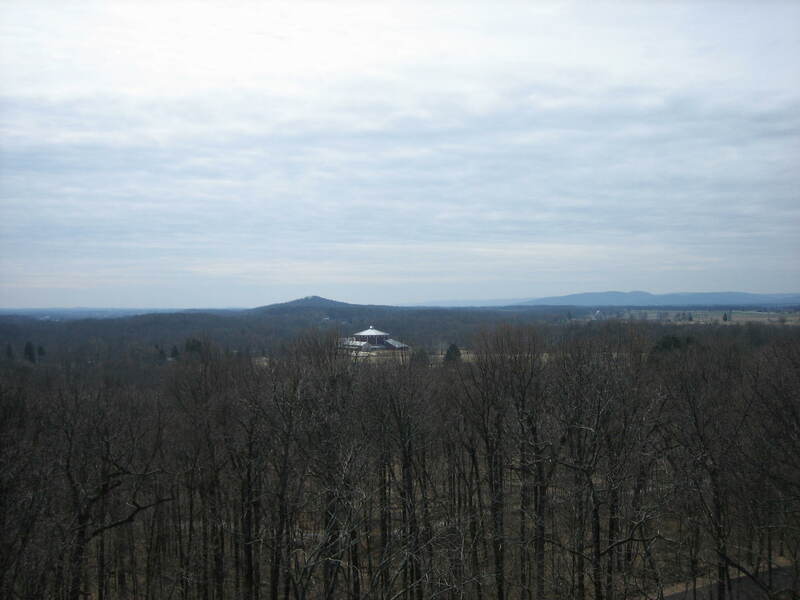 The Gettysburg Daily decided to use this fairly clear day while the leaves were still not on the trees to take photographs from on top of the Culp’s Hill Observation Tower. Wolf’s Hill. The monument to the 60th New York Infantry Regiment is shown in the bottom right of the picture. The monument to the 66th Ohio Infantry Regiment is in the bottom center of the picture. 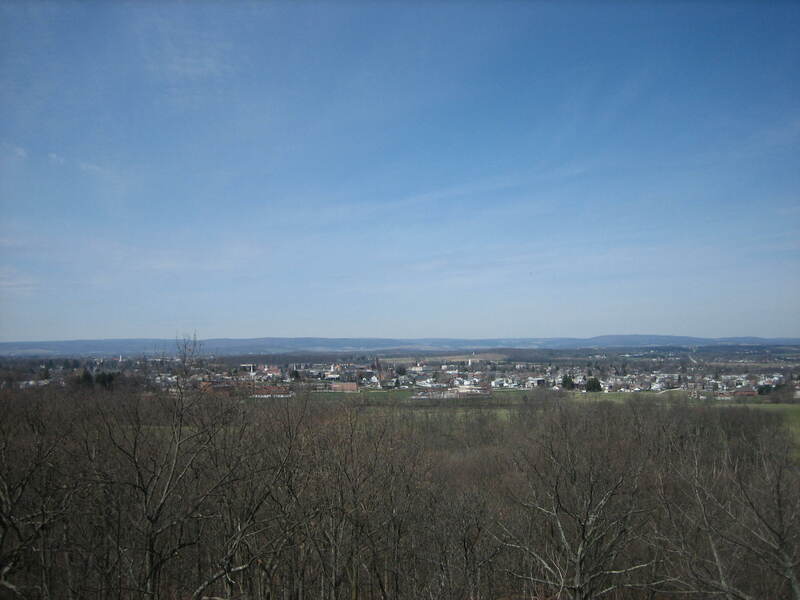 This view was taken from the west facing east at approximately 1:00 PM on Sunday, March 30, 2008. Benner’s Hill. The cannon from Major Joseph Latimer’s Confederate Artillery Battalion are visible in the field below and to the left of the light green/blue water tank. View from the southwest looking northeast at approximately 1:00 PM on Sunday, March 30, 2008. 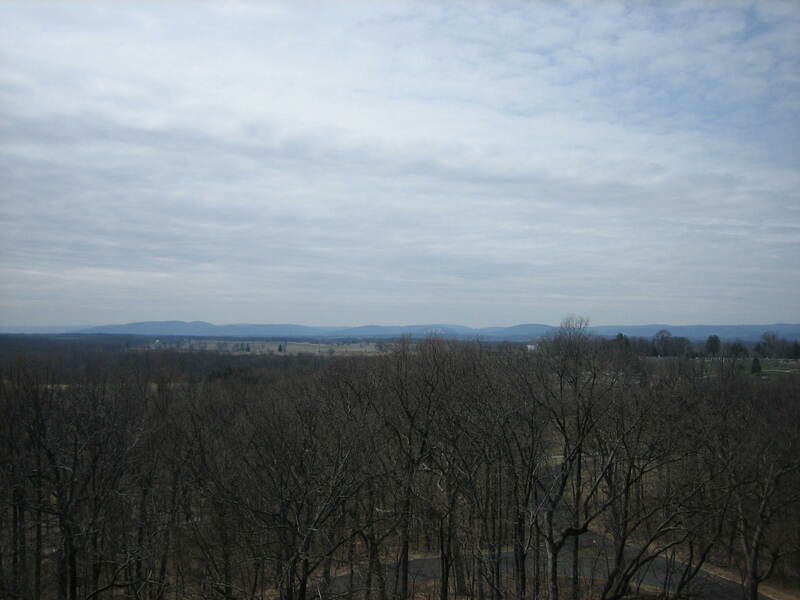 Above the houses on the eastern side of Gettysburg, in the center of the view is a radio tower. Just to the left of the tower is Barlow’s Knoll. 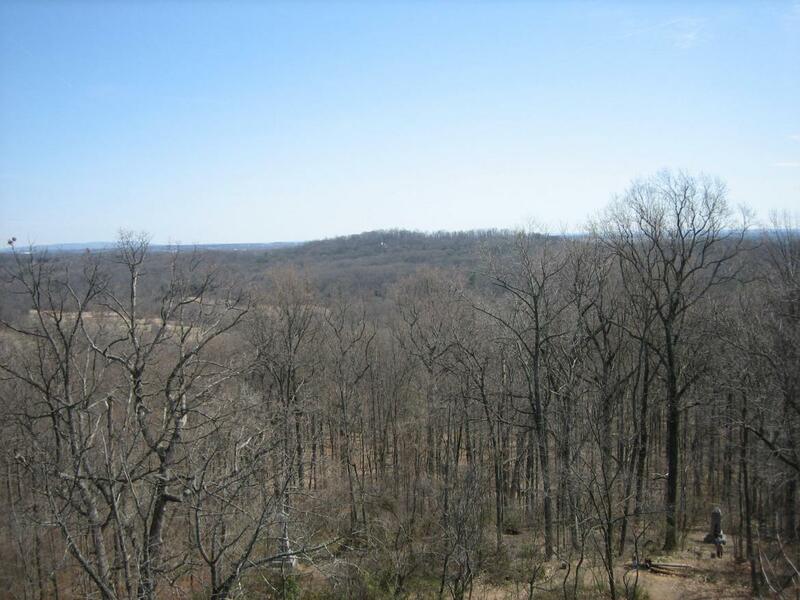 View is from the south facing north at approximately 1:00 PM on Sunday, March 30, 2008. In the center background, above the town, is the now open area of Oak Ridge, Oak Hill, and the Eternal Light Peace Memorial. The cupola on the Lutheran Theological Seminary building is in the left background. This view was taken from the southeast facing northwest at approximately 1:00 PM on Sunday, March 30, 2008. The light green/blue water tank on Cemetery Hill is in the right side of this photograph. Some graves in Evergreen Cemetery are to the left. 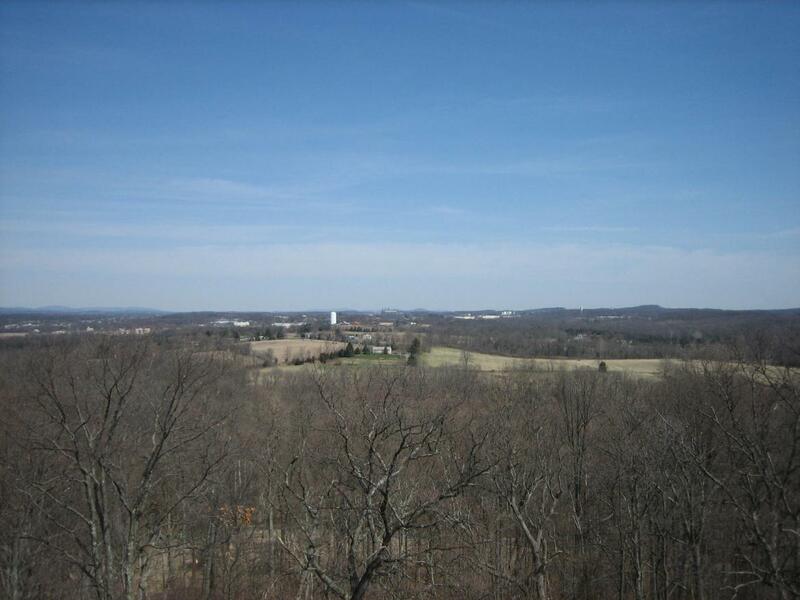 This view was taken from the east facing west at approximately 1:00 PM on Sunday, March 30, 2008. From right to left: Evergreen Cemetery, light colored Cyclorama Building on Cemetery Ridge, fields on Cemetery Ridge looking to the Peach Orchard and Seminary Ridge, and the Pennsylvania Monument. 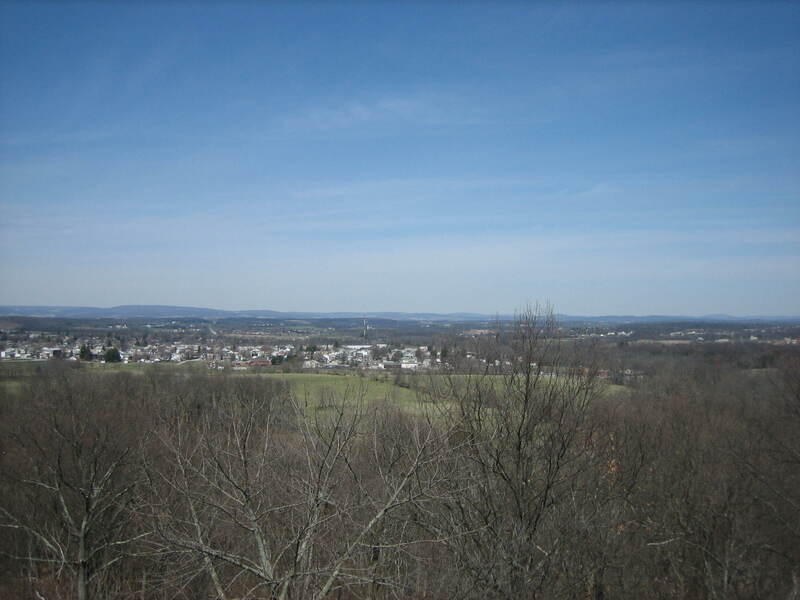 View is from the northeast facing southwest at approximately 1:00 PM on Sunday, March 30, 2008.